All businesses have records they must maintain for legal compliance and operational business needs, such as contracts, legal filings, personnel files, and marketing materials. Managing these documents efficiently can be tricky, but document management systems make the job easy. 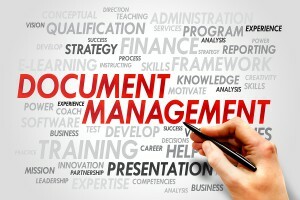 Document management systems provide an organized structure for your digital documents. These electronic systems have complex capabilities allowing you to convert records to the proper digital format, index them according to custom specifications, use keyword search functionalities to find documents, set access controls, and even search and edit digital files quickly and easily. With a DMS you get fully customizable electronic storage solutions that provide version control, security, and remote digital document access. Your employees will have quick and secure access to any documents stored within this framework. Why Does My Business Need a DMS? Every business operates under different pressures and has different organizational requirements. Setting up a DMS can enhance your organization’s ability to be nimble, productive, and efficient. Find the right document fast, and create a custom system for records storage that makes sense in your line of work. No one knows your business like you do—create a digital file management system that meets your needs so you can focus on your main job. Record Nations has over a decade of RIM industry experience. We partner with DMS specialists throughout North America and we can get you several quotes on DMS systems designed to handle the requirements of your exact business needs. Fill out our form or call us at (866) 385-3706 for free quotes on document management system services near you. With the right customization and proper implementation, a DMS can help streamline your business and improve workflow and efficiency. 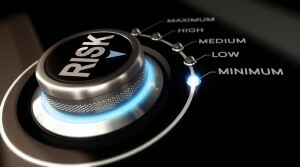 Record Nations provides several options and free quotes on DMS services that meet your exact needs. Get your document management project started off on the right foot. Call us today at (866) 385-3706 or fill out our form and we’ll connect you to our network of trusted local service providers for free.